What is a Missions-Based Church? And Are You One? 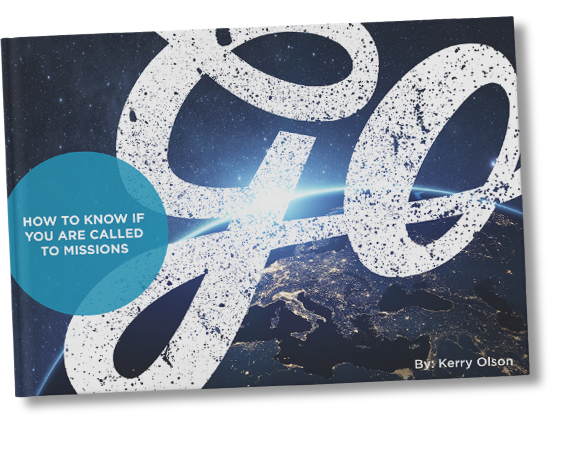 Home » Posts Page » Blog » Missionary Guidance » What is a Missions-Based Church? And Are You One? Missions is how the church spreads and how we engage with our community. However, it seems like a multitude of churches don’t take on the mindset that comes with missions. Because of that, a lot of America is losing its faith, and it breaks my heart. But what can you do to fix this? How, you might ask? Missions. It says in 1 Corinthians 12:12, “For even as the body is one and yet has many members, and all the members of the body, though they are many, are one body, so also is Christ.” Here at BGU, God is calling us to go out and spread His word to those in the deepest and darkest places of the Earth. But, we can’t do it alone, and that’s where we look to our church family; we need a mission-based church. But what exactly is that? In a world that strives to simply be happy, God presents us with another choice, a better choice: Joy. It’s the content feeling that God is in control, no matter the circumstances that arise, and the trust that is revealed when unsettling situations appear. To the world, this seems unnatural, yet it’s needed. In order to be different, we need to stand firm on the fact that God has us, and with that statement comes an overwhelming amount of joy. Growing up, my mom used to tell me that we needed to realize the alternative definition of joy… She summed up the whole complicated definition of joy into four simple words – Jesus, Others, then You. (J.O.Y.) This is what joy is: it’s the importance of putting God first, others second, and then finally yourself, and doing it with a full and accepting heart. This mindset corresponds with the idea presented in Philippians 2:3-4. Which says this: “Do nothing out of selfish ambition or vain conceit. Rather, in humility value others above yourselves, not looking to your own interests but each of you to the interests of the others.” So many people in this world are all about “me, me, me”. So when we take on a selfless mindset, it takes people by surprise. They realize there is something different about us, something that they desire. It helps them realize our heart to serve them couldn’t come from ourselves but have to come from God. For in our own strength and love, we aren’t able to do much, but with God’s help, anything is possible. But along with this, the known definition of joy relates to putting others first. As John Piper defines joy, “A good feeling in the soul, produced by the Holy Spirit, as He causes us to see the beauty of Christ in the word and in the world.” When we put others before ourselves, we need to have a complete joy in doing it. We need to have a desire of actually wanting to serve them and put their interests first. Ephesians 6:7 say this: “Serve wholeheartedly, as if you were serving the Lord, not people”. This is key in missions. Others need to see our joy from God, and our desire to serve them. As a missions-based church, you need to grasp the concept that God service to others is valued, but service to God is a necessity. For when we serve with God’s life, we are serving with something far beyond what we would be capable of doing by ourselves. As a mission-based church, we need to be all in, giving our absolute everything to those who surround us. Just as it says in 1 Corinthians 10:31, “So whether you eat or drink or whatever you do, do it all for the glory of God”, we need to come with the mindset that we are here to serve. And have that desire help you to want to grow the family of God and love God and others. Most people don’t come to church ready to give their all, we come with certain things and then prepare to leave. We come with our sins to get forgiven. We come with questions that need answers or burdens that need to be lifted. We come with all these things that we need a solution to… yet isn’t God enough that we should feel willing to just come with arms open and heart abandoned? Isn’t God enough to cause to want to simply praise His holy name? Isn’t God enough to deserve our all? When we offer our all, when we give it all to God, He takes it and uses it for your benefit, and for His glory. And Church, that’s something that we need to do, for this world is a big place, but not too big that God can’t use you in order to put your impact here. This world is hurting. It’s hurting deeply, and it’s looking for a source of hope. God’s heart is breaking as He sees all the pain that happens. He is looking down on us simply whispering, “I can save you. I can help, but my child, you just have to let me.” But the majority of the time we aren’t willing to let God enter into our sin. So the church needs to step up and be the image of Christ to those who need to see it. We need to humble ourselves, especially as the church, and just cry out to Christ asking Him to make this our prayer: “Let my actions look like God’s. Let my words sound like Christ’s. Let my love be as genuine as the love from Jesus. Let my thoughts glorify my Creator. May my life be a true representation of Him.” For if all of our prayers mirrored this pray, think of how different our lives would be. The world looks at the Church and expects us to mess up. Yet when we are representing Christ, it’s hard to fail. God wants to show up and do the impossible. We see it multiple times in the Bible, where people believe things are impossible, yet still God does them. He is proving that the hard times aren’t going to hold Him back, and neither is some little word like “impossible”. In Luke 1:37 it says, “For with God nothing will be impossible”. There are those lost around us, and those hurting around us. There are those that just need the love of God, yet we are willing to hide behind our pride in order to let them keep hurting, let alone hurt on their own? Why? Jesus gave us His all, so why can’t we lay aside a simple aspect of ourselves, our pride? Especially if that means helping a brother out, and serving him better? I’m sure you noticed that the three areas above intertwine and cover similar subjects, and that’s because in simple terms being a missions-based church is all about The Great Commission, and the actions that come about when completing it. It’s about serving individuals and helping others to do the same. God doesn’t need us to convert millions of people, or have countless people in our pews. He doesn’t even care about whether you sing traditional music or contemporary. He doesn’t mind if you raise your hands in worship or if you don’t. That really doesn’t matter, yet that’s what churches seem to focus on. If we spent the same amount of effort focusing reaching out as we do searching within, I truly believe that the church would be seen in a different light. You see, there is an impact there that could follow for generations, and we, the church, all have that opportunity. We all have that chance to friend the friendless and bring them into a family that just happens to have four walls. We have the chance to bring them into the family, and show them a love that they never felt before. We have a chance to be Jesus to them. We have a chance to change their world and impact them forever.